As the International Space Station nears completion, humanity can proudly state that it has a permanent presence in space. But what’s next? Do we head for the Moon? Mars? President Obama’s plan is to focus first on manned missions to nearby Earth asteroids by 2020 and then on to Mars by the 2030’s. In addition, there is an increasing emphasis on the role played by commercial space enterprises in achieving these goals. Long flights or a sustained mission to other bodies in the solar system presents a number of hazards to the astronauts who undertake these missions. One way to minimize the dangers is to minimize the time it takes to travel to these distant outposts. An exciting array of technologies are being developed which will revolutionize space flight and make such journeys possible. Are you ready for the Ceres truckstop, the Sea of Tranquility McDonalds or the Mons Olympus theme park? 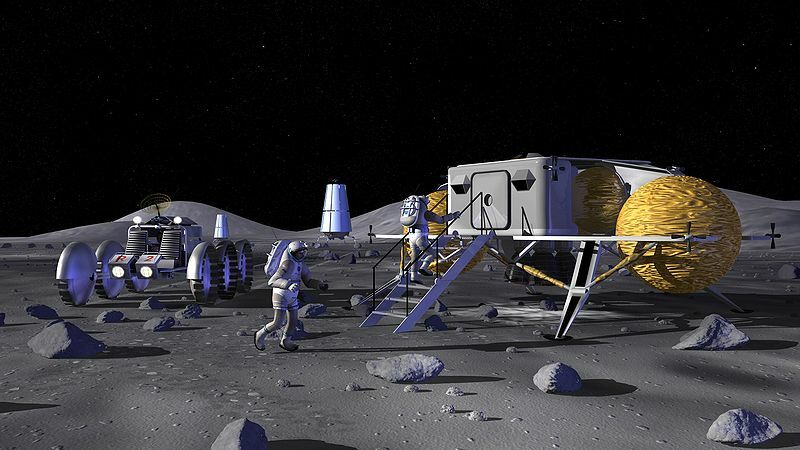 Concept art from NASA showing astronauts entering a Lunar outpost. For the third in our series of lectures on the exploration of space, we welcome Dr. Franklin Chang Diaz, a national hero and the first Latino-American in the NASA astronaut program. Dr. Chang Diaz is an inspirational figure whose current career is focused on developing an advanced propulsion system that will open up the solar system for exploration. Join us at Rice and find out for yourselves! Fast Missions to Mars and Beyond: Developing the VASIMR Engine with local astronaut Franklin Chang Diaz. The lecture is Thursday, March 10 at 7 p.m. in McMurtry Auditorium at Rice’s Duncan Hall, with a wine and cheese reception beginning at 6:30 p.m.
Steven never dreamed his first job out of college would be in public relations, and on top of that working for one of the top museums in the country. After all, he majored in History at Vassar College. Within three months of graduation, he landed a spot in the PR department and has not looked back since. He is fast becoming a communications fanatic, spending a tremendous amount of his time promoting the museum and all it has to offer.